Is Facebook a safe place for your brand? Yes, they have made many changes to their privacy (so they say) and you will get a notification from them when they think something is wrong with your account. No, in the sense that they own the data they collect on your guests and that information is used for whatever they want. Usually, they use the data to mine your online habits. Retargeting is the biggest use of online information. Ever notice that you clicked on one link for a seminar and all of a sudden you see similar products showing up in your Facebook feed? If so, you have been retargeted and have become a clog in the Facebook sales machine. Retargeting is the preferred tool for online marketers, and it should be for your restaurant business, as well. If you have a Facebook page, and you are not retargeting people who visit your page with a stream of ads to keep your brand top of mind, then shame on you. These are the same tools the professionals use to get into your subconscious and you need to be using them too, or get left behind just trying to keep your name out there with the same posts. Retargeting hits those that have already been to your page and are most likely already a fan. Why go fishing for new guests in unknown waters, when you have a pond full of guests who love your brand and want to buy more? Now, what if Facebook did fail and disappeared? Unlikely, yes. However, let’s look at the effects (especially if your only social presence is Facebook). When the internet first came to be, you pretty much had to have a website to be visible on the World Wide Web. Then, Facebook came along and created business pages. Then, many decided they didn’t need a website because their Facebook page was sufficient. So, what happens if Facebook was shut down? That’s right you have no way to contact your fan base. Throwing all your eggs in the Facebook basket is not a wise move for the modern restaurant. Now that Facebook is still a touchy subject in the headlines, you might want to start diversifying your social media portfolio. The same with stocks you own, you want to move some of your assets around to keep your nest egg safe. Instagram (while owned by Facebook) is hot in 2018. You want to take advantage of that and get immersed in their platform. 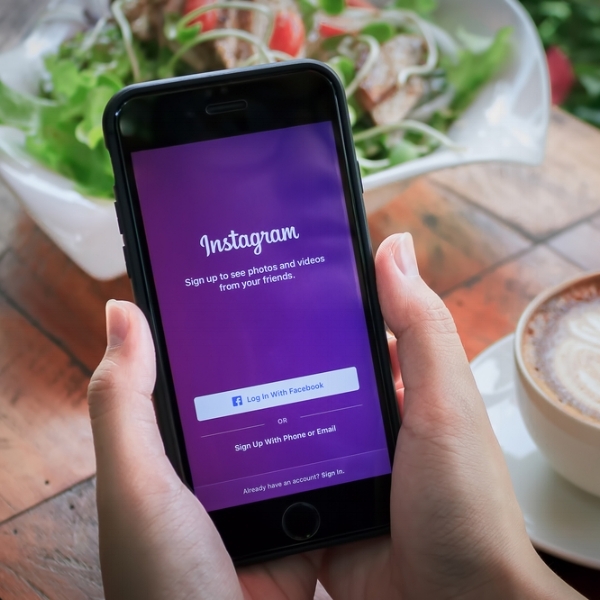 They are leading the field with video formats and the new IGTV is one feature that smart restaurant brands can use to their advantage. Online cooking tips, wine discussions, and tours of local farms go a long way to have you stand out in a crowded market. Snapchat is the preferred channel for the up and coming Gen Z and is another reason you might consider less time on Facebook. As your market changes you must adapt to them. Gen Z looks at Facebook as the place where their parents hang out and you’re not considered cool being on the “older people’s” social media platform. With cool filters and the ability to create geotags for your location, you can give the younger generation a reason to share snaps (posts) from your restaurant while enjoying your establishment. Basically, you become hip. Make sure you have a mobile compatible website that includes your menu, hours of operation, directions, and online ordering (if you offer that). Collect emails on your website by offering a loyalty program, Birthday Club, or whatever you have as some kind of exclusivity. People like to be a part of the “secret” society. Status is an important element of our social identity. Start using popular platforms like Instagram and Snapchat to keep your brand in front of the younger demographics. Use retargeting ads on Facebook to dial in your marketing message to existing guests. Stop paying to boost posts if you do not have an audience defined. It’s like shooting a shotgun in the air hoping you hit a cloud 2,000 feet above your head (it’s not going to happen). Know who you want to target and aim for that section of your market with concentrated effort (ad campaign). Is it time to leave Facebook? Probably not quite yet. Is it time to diversify your social media marketing...definitely!